One may well wonder why a French composer chose to set an opera based on three fantastic tales of an eccentric German writer—why The Tales of Hoffmann is set, in Seattle Opera’s production, in the Opéra Garnier in Paris, instead of in a tavern in Nuremberg, as in the original. 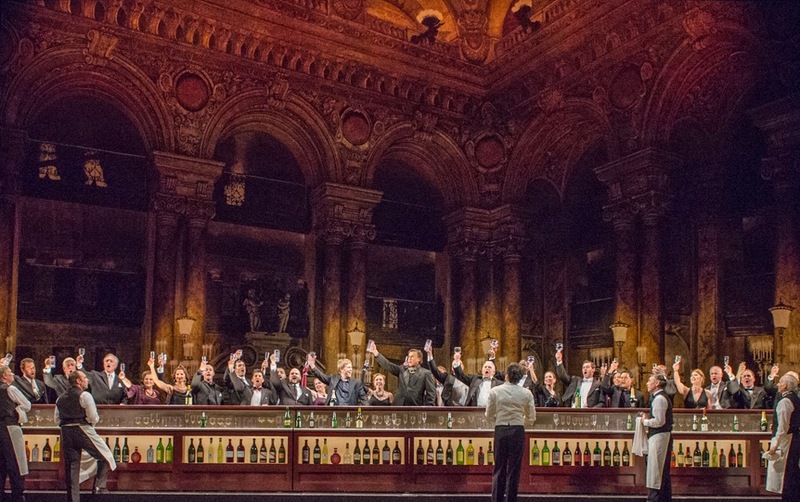 The Garnier, of course, is no stranger to phantoms, boasting one of its own, but is it really the place to house the marvelously fantastic stories of one of Germany’s great storytellers? In 1836, an up-and-coming young critic named Théophile Gautier reviewed Les contes d’Hoffmann, Massé Egmont’s recent French translation of Hoffmann’s short stories; in it, he claimed that Hoffmann was more popular in France than in Germany. Gautier’s assertion was true. Hoffmann’s genius was first recognized outside of the Teutonic region; shortly after his death in 1822, his works were translated in French, and it was in this language that his works spread widely throughout Europe. Writers as far afield as America (Washington Irving and Edgar Allen Poe), Italy (Camillo Boito), Russia (Nikolai Gogol), England (Charles Dickens) and Scotland (Robert Louis Stevenson) were deeply influenced by Hoffmann. Perhaps Hoffmann’s ability to straddle fantasy and reality so adeptly was the reason for his undeniable influence on French culture. Anyone who flips over Gautier’s short stories will see traces of Hoffmann. The two men had much in common: they shared the same vocation, that of a critic, as well as a passion for the arts. 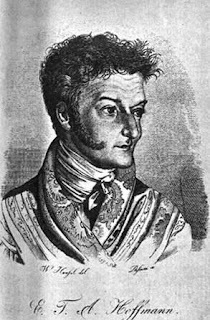 Gautier, like Hoffmann, was a talented artist, and his short stories enter the same realm as Hoffmann’s, where subjects such as madness and the supernatural plague his characters. Nowhere is this dichotomy more exaggerated than in the short story “The Priest” (La Morte amoureuse, published in 1836, the same year as his review), which concerns a young man fresh out of seminary who is pursued by a female vampire. Four years earlier, Gautier wrote a story (conte fantastique) that featured Hoffmann’s name in the title, “Onuphrius Wphly, ou Les Vexations fantastiques d’un admirateur d’Hoffmann.” The young painter Onuphrius is just as disturbed and haunted by demons and phantoms as any Hoffmann protagonist. Perhaps no French composer more so than Hector Berlioz, the composer of the Symphonie Fantastique: Épisode de la vie d’un artiste thoroughly absorbed the flavor of Hoffmann. When the tales first appeared in French in 1829, he devoured them. 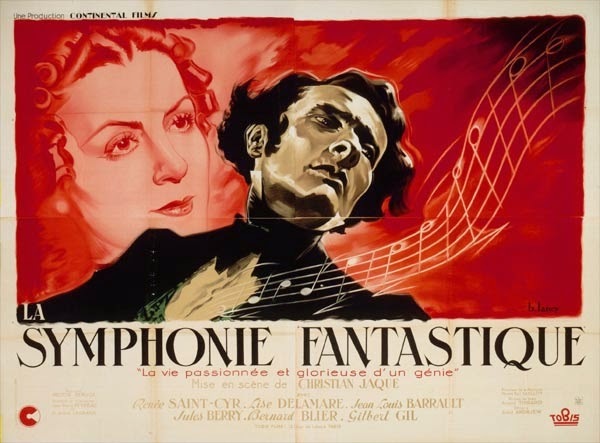 Just as Hoffmann wrote stories that were influenced by music, Berlioz’s symphony was distinctly programmatic, built on a narrative that dealt with a young man’s irrational fixation with a woman, delusions, and descent into visions of supernatural forces. The young man is often assumed to be Berlioz, who suffered from a pathological infatuation with the actress Harriet Smithson (who he later divorced—ah, young love), but the central character of the symphony may as well be Anselmus from Hoffmann’s “The Golden Pot” or Nathanael in “The Sandman,” both of them victims of uncontrollable yearning (which Hoffmann deemed the “essence of romanticism”), anguished to the core, and ceaselessly tormented by forces of the supernatural (brought on by hallucinogens or otherwise). 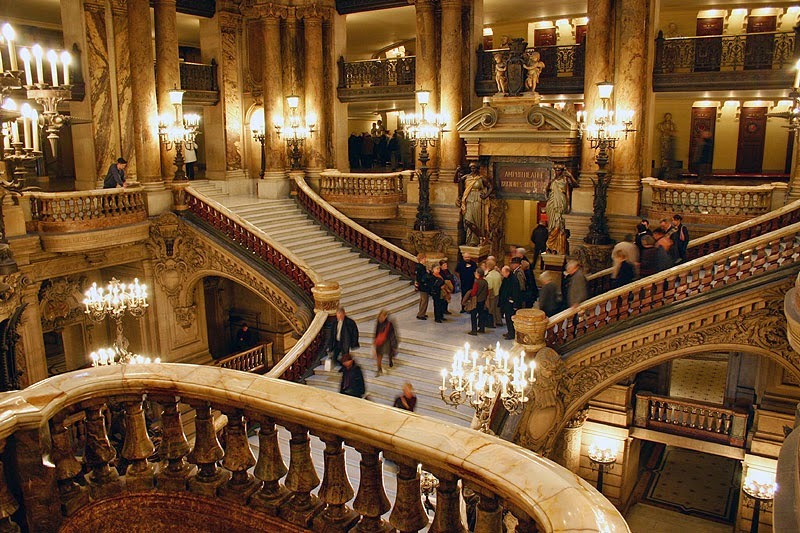 The light of day and reverie of night are present in both Berlioz’s programmatic symphony and Hoffmann’s tales. And like a Hoffmann tale, music and words blend together as the key elements of the narrative. For Berlioz, the fantastic is the subject, the language is music; for Hoffmann, the subject is music and the language is German. 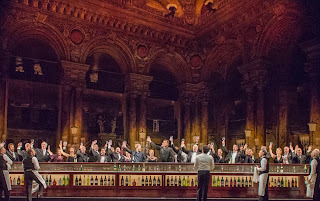 In his book Orpheus in Paris, Siegfried Kracauer reads the tale of Olympia as the portrayal of the senseless, crazy activity of the Second Empire: an era of automatic gaiety and vain champagne parties; the tale of Giulietta in Venice symbolizes the joy of the fleeting moment and passing day. 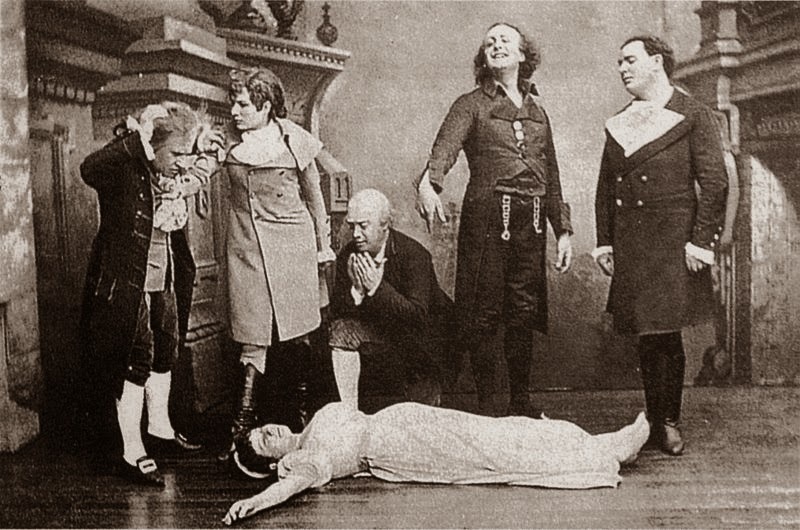 The spirits that haunted Hoffmann and his protagonists were not unique; rather, they presented themselves in various guises throughout the turbulence of France in the nineteenth-century. 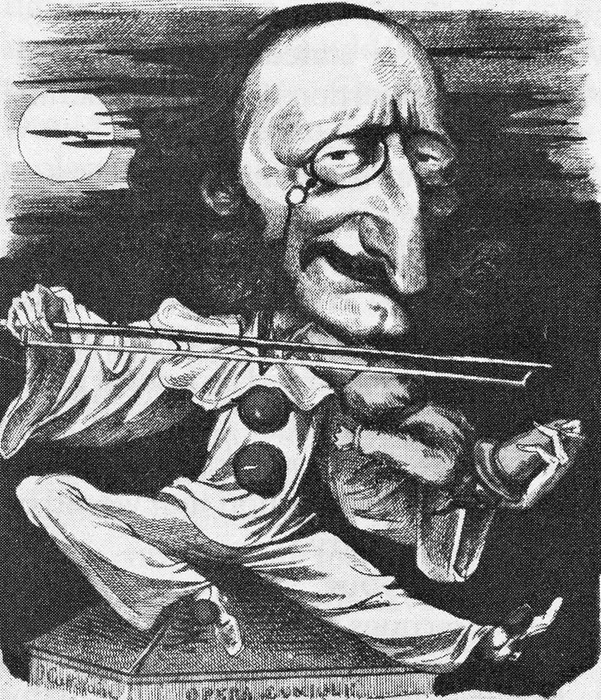 No person understood this more than Offenbach, who Kracauer called that “fallen Ariel, a spirit of the air brought down to live among the haunting spirits of earth.” It seems that, contrary to Gautier’s observation, Hoffmann’s spirits found a way to dance in the city of light after all.